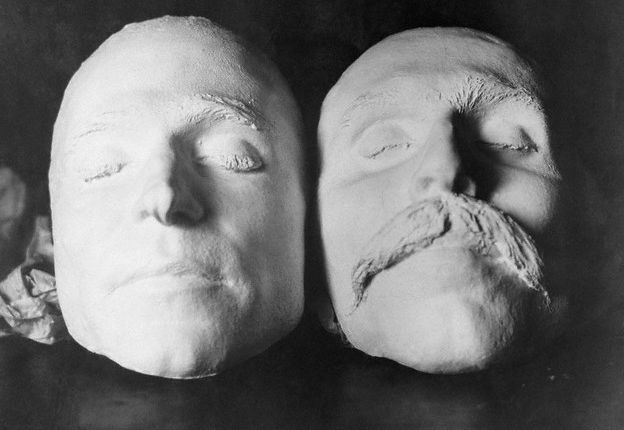 The Italian anarchist s who became a cause célèbre when they were executed for murder in 1927, Ferdinando Nicola Sacco and Bartolomeo Vanzetti were both Italian immigrants who arrived in the United States in 1908. They did not meet till 1917, when they became involved in anarchist politics, joining the terrorist organization the Galleanists who would later be suspected of the September 1920 bombing of Wall Street, an atrocity that killed more than 30. On the afternoon of 15 April 1920 the Slater-Morrill Shoe Company in South Braintree, Massachusetts was robbed of its $15,776.51 payroll. Paymaster Frederick Parmenter and security guard Alessandro Berardelli were both killed during the raid. On 5 May Sacco and Vanzetti were arrested as they collected a vehicle police thought was a getaway car. Two other anarchists escaped. Vanzetti, who was carrying a gun, was tried and convicted of a robbery at Bridgewater, Massachusetts in 1919. He was sentenced to 12 -15 years in jail and was unhappy with his legal representation James Vahey, whom he claimed, “sold me for 30 golden money like Judas sold Jesus Christ”. Then Sacco and Vanzetti appeared in court at Dedham, Massachusetts where they were tried and convicted of the payroll murders. Vanzetti was found to be carrying a revolver, which the prosecution alleged that it had been taken from the murdered security guard. The anarchist claimed that he had the gun for protection. In apparent attempts to avoid deportation as anarchists, they lied to the police, and this would weigh heavily against them at their trial. In fact, it was to be a fatal error. There has much been much criticism of their trial. Many believe that Judge Webster Thayer was biased and determined to achieve guilty verdicts. The Galleanists’ reputation for for launching terrorist attacks meant that the courtroom at Dedham was fitted with cast-iron bombproof shutters launching terrorist attacks meant that the courtroom at Dedham was fitted with cast-iron bombproof shutters.